Perfect for applications that require multipoint control such as hotel rooms, hallways and stairwells. 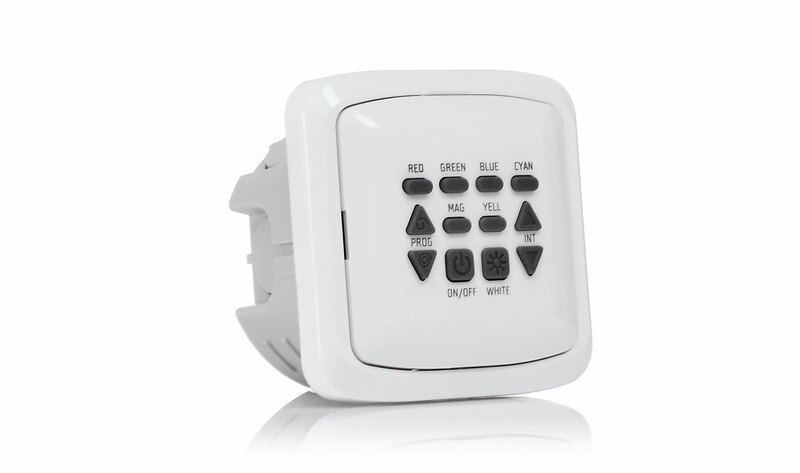 The ArcControl™ 1 is a standard wall mounted playback 512 DMX controller. The compact size of the controller ensures it can be mounted to any standard back box from the UK, EU or USA. The LED back-lit front panel has 12 buttons and offers adaptable 7 colour mixing, dimmer control, and together with 2 built-in programs it provides an easy and convenient controller interface.